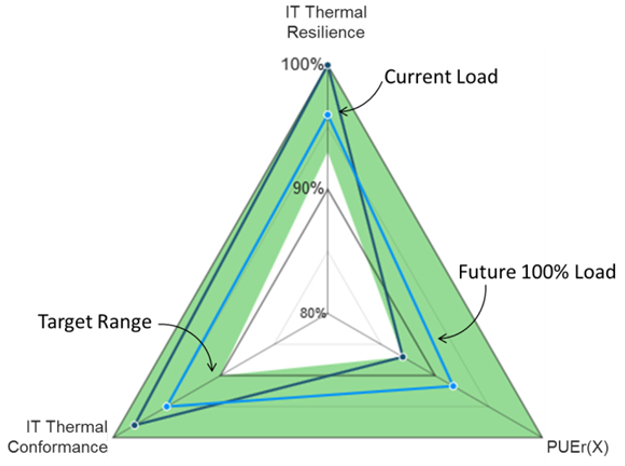 The Green Grid, the data center industry group known best for creating the industry’s most popular data center efficiency metric, Power Usage Effectiveness (PUE), has developed a new metric for data center operators, called Performance Indicator. The Green Grid published PUE in 2007. Since then, the metric has become widely used in the data center industry. Not only is it a straightforward way to take a pulse of a data center’s electrical and mechanical infrastructure efficiency, but it is also a way to communicate how efficient or inefficient that infrastructure is to people who aren’t data center experts. Those are just a couple of possible use cases. There are many more, especially with PI Level 4, which is similar to Level 3 but with a much more precise model. This model is calibrated using temperature readings from as many points on the data center floor as possible: servers, perforated tiles, return-air intake on cooling units, etc. This is about making sure the model truly represents the state of the data center.